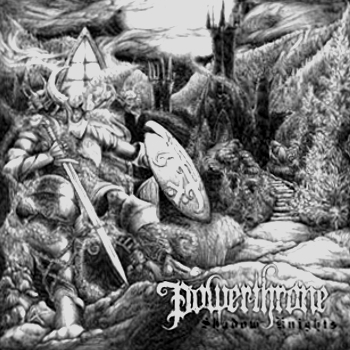 Originally supposed to come out on Reinig Records (Night Demon, Bunker 66...), these are the very first recordings from Powerthrone from California. Galloping and shredding 1984 black/thrash, the rawness of SODOM ("In the sign of evil"-era) combined with the atonal riffing of early CELTIC FROST. The whole pace is almost punk in its crudity, the G.B.H. cover is probably not just a random choice. Pressing of 500 copies. All copies coming with 350 grams cardboard jacket, insert, outer plastic bag.